Dusane Infotech is a dynamic, customer focused technology & consulting company operating in the Gaming, Media & Transactions space. It is headquartered in Mumbai, India. We have provided world class, certified gaming solutions to customers in 25 Countries across 4 continents and are looking for strategic partnerships to grow our business mutually. Our partner engagement program is dedicated to companies & consultants with a strong gaming presence or with a strong background in the gaming space, ready to help their clients efficiently run their business, reach new markets, increase brand awareness and raise the engagement level & the retention of their end consumers/ users/ subscribers. We are looking for strategic alliances with various influencers in the gaming space. Build on the latest technology platform, all our solutions come with unique benefits to boost revenue while optimizing client’s operational efficiency. The systems can be customized to suit specific requirement of the clients. While Dusnae Infotech Pt Ltd (DIPL) was incorporated in 2006, its core founding members have been working together in the Technology/Gaming Industry for the past 16 years. 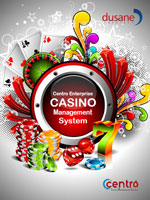 The Management & operations team at Dusane Infotech is well acquainted with not only the technology but also has first hand knowledge of casino and lottery business in various geographies. Dusane Infotech is amongst very few specialized gaming technologies companies in India – a country widely known as a technology powerhouse. Engineers at Dusane Infotech possess not only specialized technological skills but also have operational expertise in areas like online lottery, transaction solutions and are familiar with on ground deployment nitty-gritties and challenges. Dusane’s Team adopts an agile methodology of working closely with the clients and providing required customizations on-the-fly, thereby saving significant time and effort and being ready to always deploy at the earliest. We are quick to embrace new technologies and concepts which can bring more value to our customers while maintaining a tight grip on cost. A move towards offering cloud based solutions is a serious and sincere effort in this direction. At Dusane Infotech, we take complete ownership of our solution deployments at the client premises. We usually provide 30-60 days intensive post implementation support in large and complex projects. Dusane Infotech has more than a dozen 13 solutions in its portfolio which are interlinked and cater to casino and other gaming businesses, as of now. Our existing Partners sees this as an opportunity to cross pitch these solutions and explore multiple business opportunities with same client. Dusane Infotech is committed to maintaining the integrity of the partner’s role and position with the end-customer and has a policy of non-intrusive support, especially where the Partner is front-ending the deal and owns the customer’s business directly. Our commitment and seriousness of intent to work with partners can be gauged from the fact that more than 80% of our business comes through partners and associates. Kiron Interactive – It is a leading global provider of interactive skill games and virtual sports products to the gaming industry. 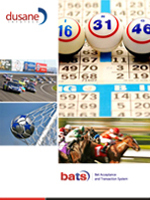 Dusane Infotech supplied our proprietary betting system to support their gaming products and have been collaborating with them for more than 3 years on multiple opportunities. Atlantic Casino Consultants – They are the casino industry consultants mainly offering their consultancy to casinos in the Western Europe. Dusane have been exploring multiple opportunities with them. VisionTek – It is a leading handheld terminal manufacturers company. 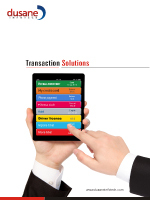 Dusane collaborates with Visiontek to fulfill mobile pos terminal requirements of gaming clients. Dusane “owns” the client and the partner gets incentivized based on a one-off deal or as per long-term contract signed. Dusane provides a white-label solution to the partner and gets paid by the partner for deals he/she closes and partner “owns” the client. Dusane and partner enter jointly into a deal with the client through a MoU (Memorandum of Understanding). However in this case, Dusane is still the invoicing party for services and/or solutions provided.